Adding your own custom CSS code allows you to override the default CSS of the theme and customize the styling of your website. 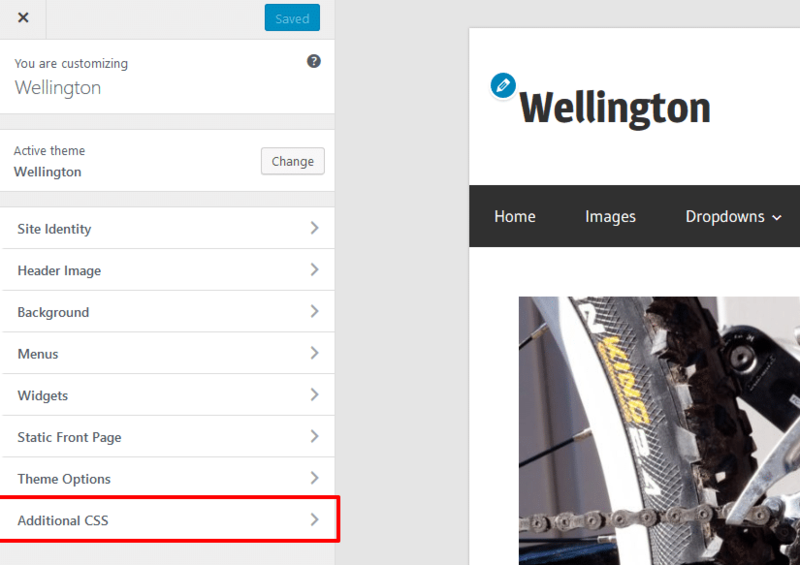 Since WordPress 4.7 you can add your own CSS snippets in the Customizer. Therefore go to Appearance → Customize → Additional CSS. The Additional CSS section allows you to insert your CSS code in a large text area field. The CSS code is immediately applied to the live preview on the right hand side, which means you can try CSS code safely before saving it.